In 2008 Bimkom submitted an objection to the Special Outline Plan (SOP) prepared by the Civil Administration (CA) for Um a-Rihan, a village with a population of some 500 residents. The SOP left several existing houses and the village school outside the boundaries of the plan. This meant that these buildings could not be legalized and would continue to be under threat of demolition. The significance of this objection rests in the fact that this was the first time that the SOPs had been seriously challenged in the framework of statutory planning procedures. 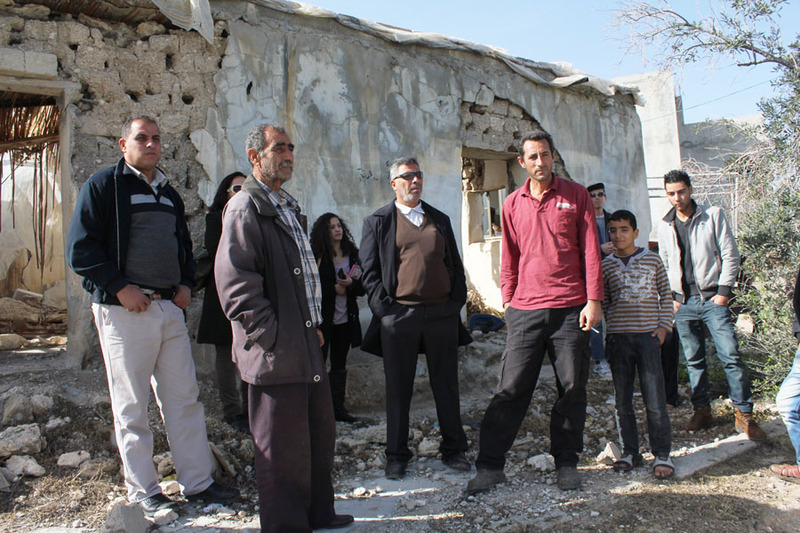 The CA accepted many of the arguments Bimkom put forward in our objection to the plan and they decided to significantly expand the area of the village in which building is permitted and to decrease the unreasonable high densities which could never be implemented in this type of village. Although the CA’s new plan still has some inadequacies (such as buildings left outside the plan), the village has finally been connected to the water and electricity grids and the infrastructure improved. In addition, there has been a significant change in the CA’s policy regarding plans for Area C villages. They will no longer prepare special outline plans, but rather more detailed outlines plans, which will be prepared with much greater attention to the real needs of the residents. An external Palestinian planner has been employed and has begun work on a number of these plans. This entry was posted in Planning Assistance. Bookmark the permalink.